Videos apparently provide a lot of motivation and inspiration these days, with Instagram stories and Facebook live. People and your life are your motivation but you have to find it first! Where do you look for motivation? Give up or keep going? Keep going, step by step, day by day! Life has ups and downs but you have to work through them, develop your resilience, believing life will get better next week, next year! Relationships, people, are the main cause of your problems, perhaps, but also illness you can't expect or plan for, accidents that happen or ignoring your early warning signs with instincts perhaps! Backstabbing, deceit, let downs and betrayals. Losing a job, home, loved one or opportunity. Influences of others like lack of support and help, or moving to a new place against your will as in childhood. Attacks both physical and psychological like bullying and abuse. Disability or lack of abilities, skills and qualifications. Being disillusioned, told you can't do it or aren’t good enough. You see this so many times. You likely felt these so many times! You too I guess. Your family, friends and colleagues. "Get knocked down 7 times, get up 8" is a Chinese proverb and relates to building resilience, trying again and never giving up! By all means, when life hits you hard and you feel exhausted and wonder if the effort is worth it - remember, it is! It's what life is about, not struggle but maybe strife to learn more, finding solutions, tools or techniques to make your life easier, happier and more in flow than floundering! "I am the master of my fate", and so you are! Don’t get in line because other people are, do what is right for you, trust your self, own your thoughts, feelings and ideas. Change your behaviours if you think you need to for a happier life. But don't hand your happiness over to someone else - they cant do it for you and they may well let you down! Manage your life, manage your options, manage your mind! Ask for help and advice, support and inspiration or motivation, contacts and links, information and more. Not everyone will help but some will and that's more than you had before. Aspirations, inspiration and motivation. "Aim high, for the moon! At least if you don't quite make it you'll land amongst the stars" highlights your options and perspective. You might not make it but then you might and at least you've tried and learned, and grown! That's what we human beings are created to do; develop, grow, learn, improve! 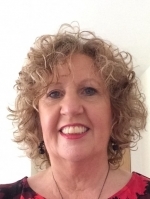 Julie provides personal and professional development coaching for life and career, with small business building experience too and a corporate background supporting teams.